Ten years of blogging have revealed one unanticipated thing about my writing: the predictable length of a piece here is likely 600 to 700 words. And if that is, indeed, the limit of my attention span or of the complexity of thought I might entertain in the moment, the revelation has come none too soon. No wonder I seem unable to write a book. Despite the number of book-length topics in my research agenda, it’s hard to visualize one of them treated in a hundred chapters of six hundred sixty-six words apiece. Another characteristic concerns writing itself, by which I mean the physical act of putting words on paper. I write in that sense, but my students — most of them; surely there must be exceptions — operate on the presumption that “cursive” means swearing. So it was with great interest that I ran across an article about the sad state of written communication today and why it may be more important than you imagine. In “Hand-wringing over Handwriting” Scheinman does far more than bemoan the disappearance of cursive writing from our schools — at least the public variety; parochial and other private schools may be another matter — for there is a documentable connection between writing and cognitive skills. It turns out using a pencil is like learning how to use any other tool: “Using our hands requires the development of particular areas of the brain” and the those areas learn through the mechanism of manipulation, especially repetitive — that is, information enters our brain by means other than seeing and hearing; it travels up your arm. Taking notes during a lecture, for example, imprints our recollection of what has been said far more durably than by listening alone. If you don’t go to Scheinman’s article itself, consider this hasty distillation. Brain development has close coördination with manual dexterity. Children who write by hand are better able to generate ideas and retain information. 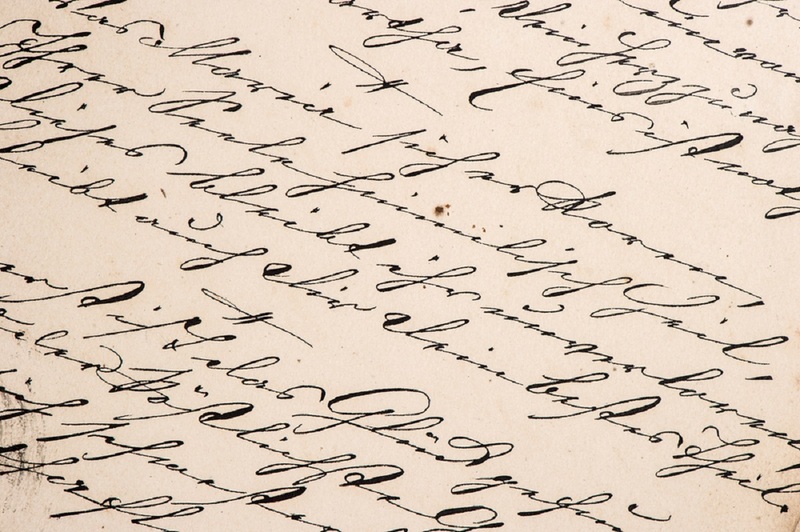 A particular problem for graduate students in history arises from this inability to read cursive—of any period or place. Let me give you an example. I knew the Jackson house was a Buck design and I suspected their connection with him had come via the Ladies Home Journal, but was that the only link? Fortunate for me, Julia Jackson was her mother’s daughter; she wrote her mother in Madison at least once, sometimes twice a day. And in a format that I had associated with the 18th century. 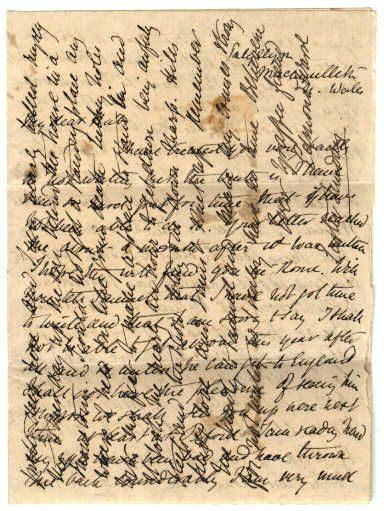 To save paper, Julia’s letters were written on both sides and in both directions, that is, she wrote across the paper and then rotated it 90°, then turned the paper over and repeated. Because pen and ink a century ago bled through the paper, anyone reading her letters — or trying to — would be reading four lines simultaneously: backwards, forwards, and crosswise. An hour in the reading room of the state’s historical society brought on a headache like I have never had (without benefit of alcohol). Now compound that with 19th century cursive penmanship and you appreciate the problem. One of Scheinman’s sources claims this is already an issue in graduate studies. This is not one of Julia Jackson’s letters but you get the idea, though it doesn’t have ink bleeding through from the reverse. Ironically, the computer software that creates an architectural drawing will be unable to read it in ten years or less. At least the cursive script phenomenon has taken a century to evolve. Oh, and I just broke the 700 barrier. PS: Then there is the matter of Swiss-German poet Robert Walser, whose early 20th century microscript was considered unreadable until recently. Being in German doesn’t help. To keep me happy all the day. Among the bed-clothes, through the hills. And planted cities all about. As a child of ten or twelve, I was struck by Scarlet Fever, a streptococcal infection whose bright red rash put me in bed in a darkened room for at least a week, as I recall sixty years hence. What the consequences of bright light may have been I was never told; children of that age, after all, are spoken about, never spoken to. 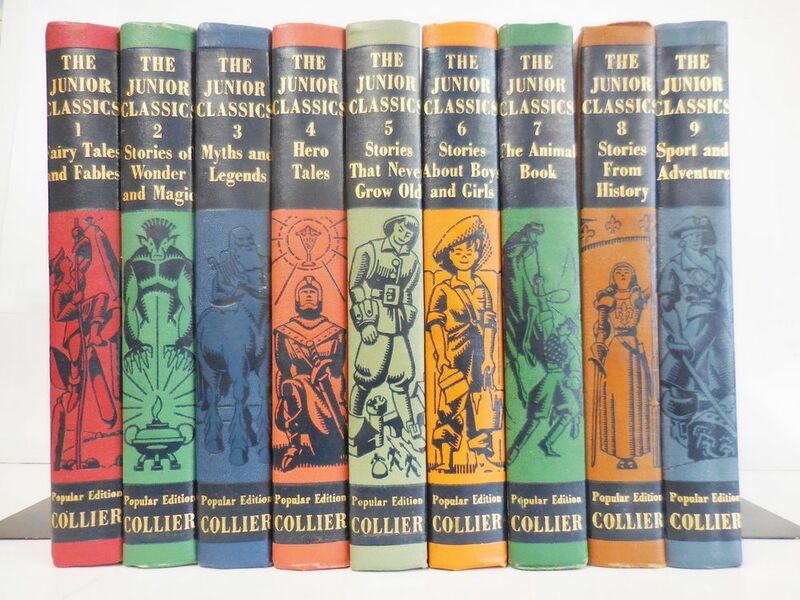 Whatever pain may have been involved has carried no memory; what I do recall was a great deal of reading in the Junior Classics, a set of ten books on the small bookshelf beside my bed. Reading in that darkened room may have done more damage than the fever, but what I read has done me nothing but good. It was an eclectic mix of authors and literature types. There was “The Gold-Bug” by Edgar Allen Poe, for example, and “Robinson Crusoe”. There was also “The Land of Counterpane”, a poem by Robert Louis Stevenson. Stevenson’s realm was familiar long before I encountered the poem. I might as well have been an only child (my sister was two years older), and a feral one at that, which translated in my case to a lot of time alone. 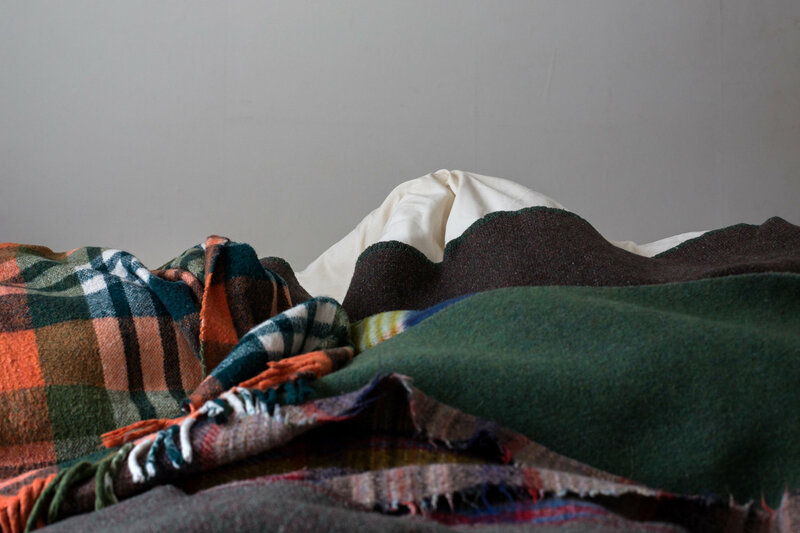 The patchwork quilt that wrinkled and draped between my legs had long since become a land of lost and found, whose vistas rippled into the distance, fold after fold, to the horizon (i.e., the edge of the bed; guess I was a Flat-Earther at that age). But that landscape was uninhabited; no toy soldiers, no tractors or dump trucks, simply a world to wander. Soon I did have a “traveling companion” in the person of Frank, the dog, equally curious about the world. And our exploratorium was Frank’s old neighborhood in Mesopotamia: trips to the FCC Grocery for mom, and that summer I tended the store for Mrs Pirtle; weeding our garden plot along the Milwaukee Road tracks; fishing below the weir with my friends Artie (Butch) and Bobbie (she hated Roberta). I got to know Mesopotamia more intimately than other parts of town, and its people, too; and how the rhythms there were different, slower, without being casual, than elsewhere. And there was a social structure, too, one that accepted me after a while as a benign invader without a need for antibodies. Until junior high school, Bobbie and Artie and the others went to Darrow school, while I was at Darwin, which made for a different sort of friendship, more purposeful, since we saw each other only “by appointment”. But Bobbie was check-out clerk at Cermak’s Market and Artie became a mechanic at Cliff’s Garage, businesses not actually in Mesopotamia, but decidedly on the wrong side of town — which is probably why I hung out there. It was Albert Camus who observed: “Don’t walk behind me; I may not lead. Don’t walk in front of me; I may not follow. Just walk beside me and be my friend”. We did. They were. If you can tell me why someone is your friend — someone who knows you too well but likes you anyway and expects nothing but your own acceptance of them — I wish you’d share that wisdom. 1. a malicious, usually petty, desire to harm, annoy, frustrate, or humiliate another person; bitter ill will; malice. 2. a particular instance of such an attitude or action; grudge. 3. Obsolete. something that causes vexation; annoyance. verb (used with object), spited, spiting. 4. to treat with spite or malice. 5. to annoy or thwart, out of spite. 6. to fill with spite; vex; offend. 7. cut off one’s nose to spite one’s face. 8. in spite of, in disregard or defiance of; notwithstanding; despite: She arrived at school on time in spite of the snowstorm. 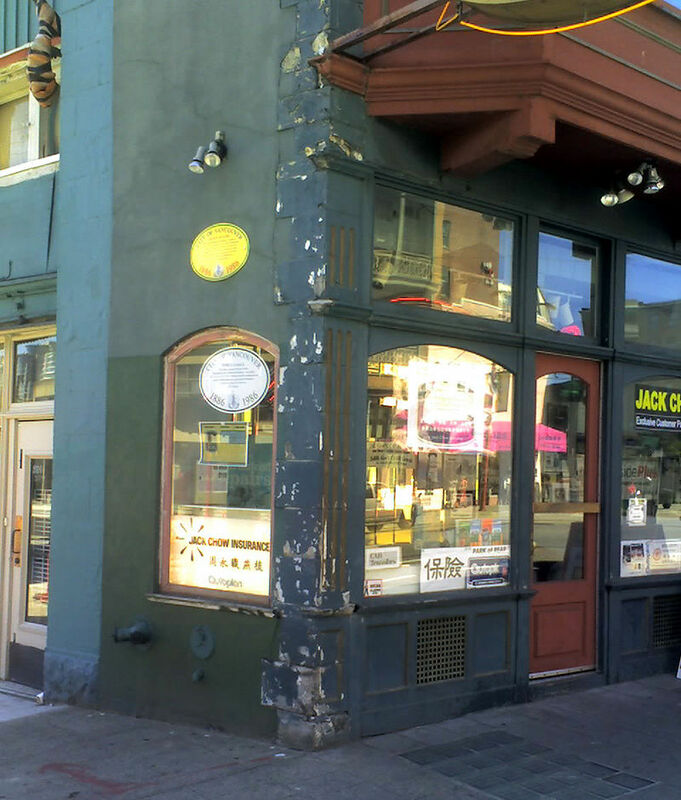 With an address at 499 Carrall Street in Vancouver, BC, the Sam Kee Building technically fronts on West Pender. The Carrall “façade” is just 4 feet 11 inches in width, making this, according to Guiness, the world’s narrowest commercial building and probably the most notorious spite building ever constructed. See what I mean? Its story is simple. The Sam Kee Company purchased a standard commercial lot in 1903 but delayed construction. 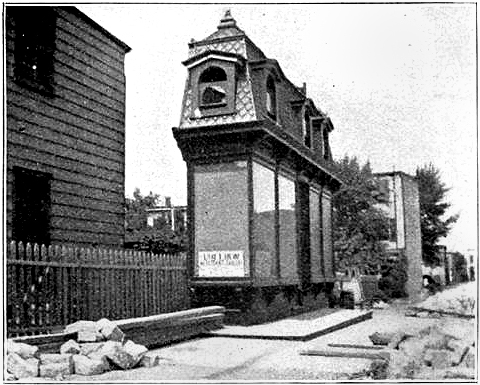 Then in 1912 the city widened Pender Street, appropriating all but 4’—11″ of the original parcel. 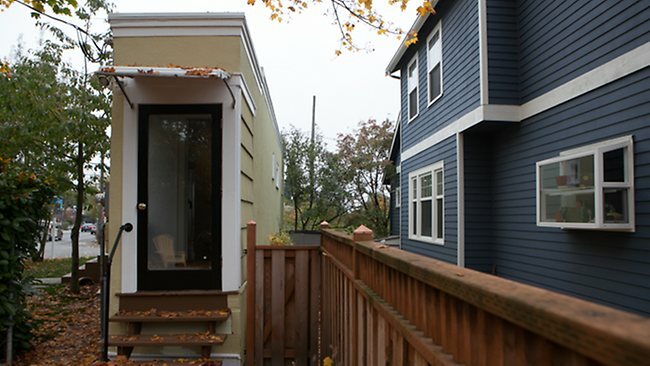 Refusing offers from his neighbors (which would, presumably, have resulted in a net loss of investment), Kee decided to build anyway, and his architects Brown & Gillam produced a steel frame design that projected beyond the property line at both the second floor and the basement. The Kee Building joined the surprisingly large ranks of the world’s other “spite” buildings. Several have resulted from street widening projects, such as this long-demolished example at 161st Street and Melrose Avenue in the Bronx, once the shop of a tailor, which likewise extended beneath the public right-of-way. While others grew from dispute — between neighbors or within one family — such as this 1925 house in the Montlake neighborhood of Seattle, the product of a messy divorce: ex-husband got the house, while the ex-wife got a compensatory sliver of land and then took her revenge. Spite can be a powerful force and take many forms and faces, most of them hidden; it doesn’t really work if you know its happening. Like revenge, the best of it occurs when no one notices. So I wonder if anything of this sort happened in the otherwise reserved hamlet of Agincourt. Artist-illustrator Edwin Noble collaborated on at least two books with W. P. Pycraft, whose on-line bios assign him a number of scientific titles: ornithologist, osteologist, zoölogist, comparative anatomist, among others. What I find noteworthy in these books — The Animal Why Book and Pads, Paws & Claws — is Pycraft’s ability to put complex, even difficult scientific ideas into language children could understand. At least I presume they were comprehensible to eight- to twelve-year-olds, though I wonder how they would be received today. I found my first copy (the Why Book) at a massive flea market in Rochester, Minnesota, and flipped my companion for the “right” to buy the book; it was $75, as I recall, at least fifteen years ago. The illustrations had attracted our attention, but later, in the car on the way home, it was the text that equally impressed. I wondered if these two collaborators knew each another? Their pairing seems ideal. 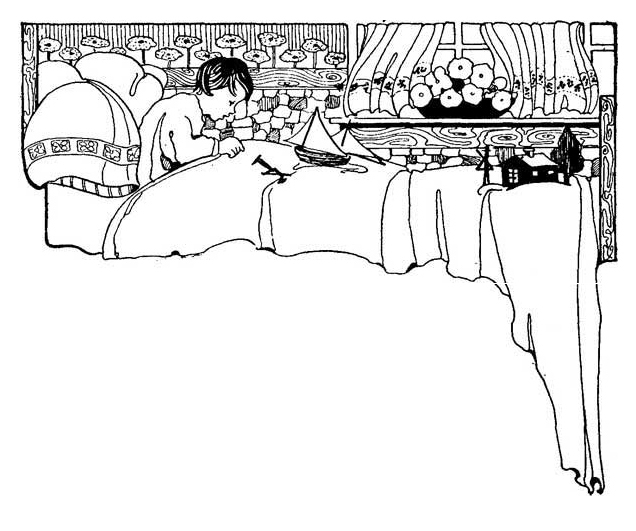 Seeking information on Edwin Noble, I learned of the second Pycraft volume and a third later book authored by Gladys Davidson (these were published in 1910, 1911, and 1919, I believe) which was also lavished with Noble illustrations. Noble himself appears to have been a recognized authority on animal anatomy, both teaching and publishing on the subject. 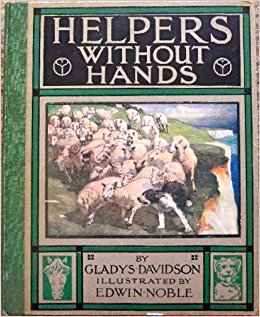 My attraction, however, is their general Edwardian character, similar to the graphics of William Nicholson and the Beggarstaff Brothers. Is it even necessary for me to confess a fetish for the Edwardians and almost everything associated with that too brief period (1901-1910)? Edwardian architecture has much in common with the Mannerist period of the Renaissance: exaggeration, overt emphasis, and disproportion of ornament; tongue-in-cheek historicism; pastel relief from the deep, moody Victorian palette. It includes architects like Sir Edwin Lutyens, Richard Norman Shaw, C. R. Mackintosh, C. F. A. Voysey, Edgar Wood, and other lesser lights. Recognize a few of those names? Even Wright’s “Prairie School” work of the decade 1900-1910 might be understood in Edwardian terms, if for no other reason than the ways it represents shifting social norms. But if ye seek concentrations of this stuff, London is merely O.K. ; larger concentrations are to be found in gritty Midland industrial cities like Manchester, Birmingham, and Liverpool, even Glasgow — some of my favorite places — and in Chicago, their American counterpart. Edwardian composers like Ralph (pronounced “rāfe”) Vaughan Williams, Sir Edward Elgar, and Frederick Delius (I think) wrote music with a wistful, melancholic sound that practically foretells the Great War to come, too soon. Representative (and popular!) 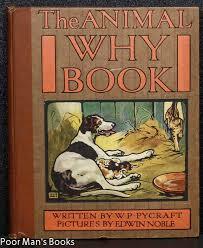 Edwardian writers are Barrie, Forster (Howard’s End), Galsworthy (The Forsyte Saga), Kipling, Shaw, and Wells. [I note two of my favorite novels of that period.] Richard Adams’s Watership Down (1972) seems in keeping. Fashion offers better examples that might be labelled Edwardian, rather than the fine arts of painting and sculpture. Perhaps I’m in error. It wouldn’t be the first time. I mention all of this because it may well be the Agincourt Project is over-saturated with my Edwardian perspective. The Social Gospel, for example is (in the United States, at least) a theological point of view riddled with Progressive socio-economic notions that contrast the previous Victorian hypocrisy.— de facto Edwardian? It’s good to identify one’s sources, to acknowledge influence both overt and subliminal, and to explain (without apology, I hope) the matrix I and others have invented. I mention this for another reason: This smörgåsbord of interests and influences also seems entirely out of step with the 21st century; with culture in general and with architectural education in particular. I seem to be making a case for becoming disengaged from one, certainly, and possibly from both. 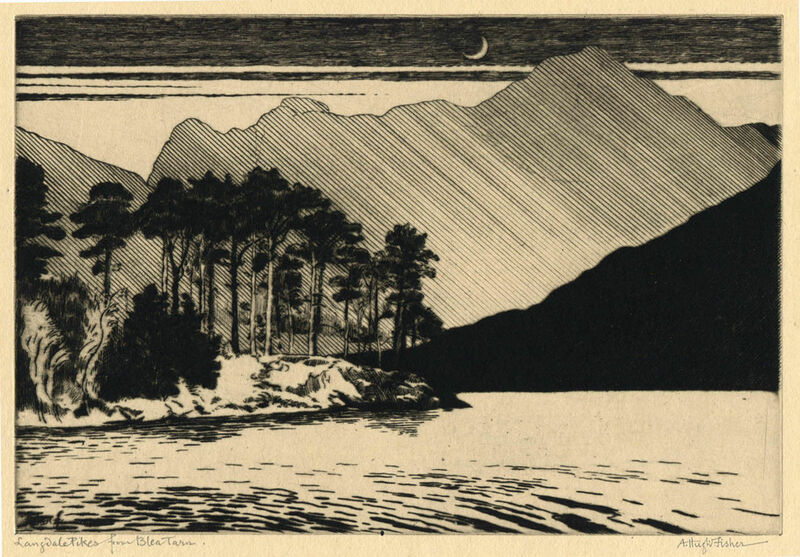 This signed etching by Alfred Hugh Fisher entitled “Langdale Pikes from Blea Tarn” depicts a rural English landscape with lake (tarn = a small mountain lake, from Middle English and Old Norse), usually formed by glacial moraines. A popular hiking destination in the renowned English Lake District, the Pikes themselves are what Americans might call a hogback or ridge, seen here in silhouette from the tarn. 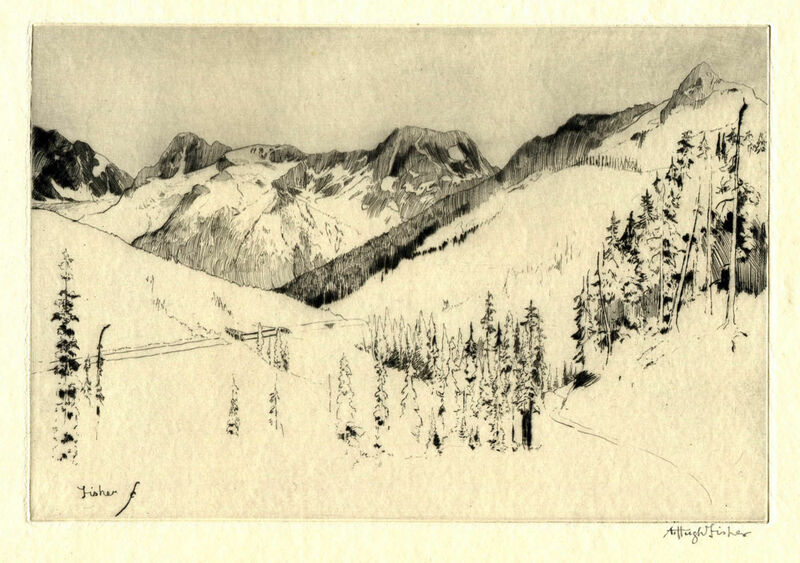 The untitled view of a Canadian glacier is likewise an etching, but presents a much lighter feeling, a celebration of line rather than plane. Alfred Hugh Fisher received his formal art education at the National Art Training School (now the Royal College of Art) and the Académie Julian in Paris. 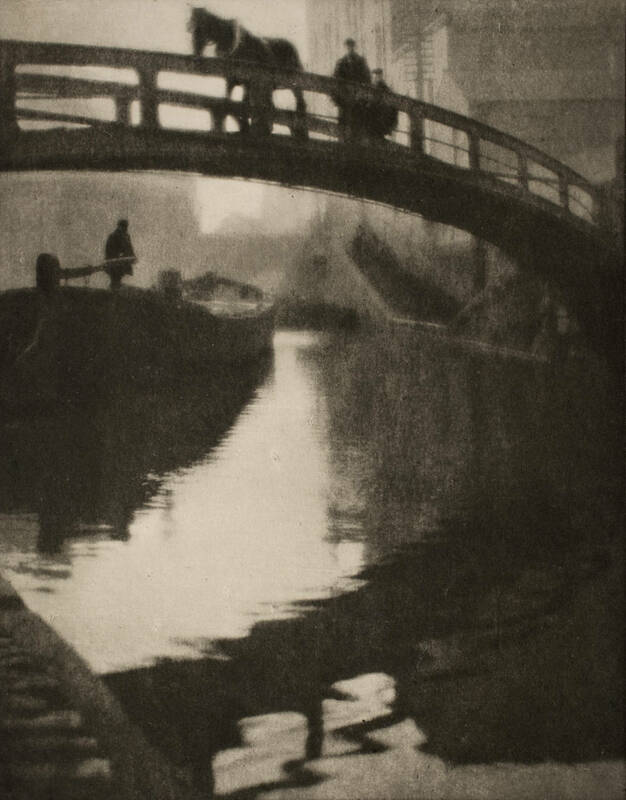 He began producing etchings in the 1890s and was elected to membership in the Royal Society of Painters and Etchers in 1898. A. Hugh Fisher was a member of the Royal Engravers and the Chicago Society of Etchers. His art is in the collections of the British Museum and the Victoria and Albert Museum, London. A sticker on the frame suggests one of these was acquired from the Thurber Art Gallery in Chicago’s Fine Arts Building — operated by W. Scott Thurber in space remodeled by Frank Lloyd Wright in 1909. Valedictory: of or relating to an occasion of leave-taking. It’s the conclusion of the spring semester of the 2017-2018 academic year. And if things go according to plan, I have six more semesters until retirement. And if they don’t, it’s no bad thing to have an exit strategy. Last night was one of fitful sleep. Depressives tend to be early-awakeners and I often get no more than two hours of sleep at a time, articulated by sudoku and the current bedside book. Early this morning seemed as good a time as any to rehearse my valedictory speech, the fare-well address I might deliver to whomever shows up at my retirement celebration—it might also be read on my behalf at a memorial service. Who knows: this iteration of it may be the one you hear and that will spare you from showing up. My old friend Marilla Thurston Missbach said I was one of those people who grow where they’re planted. And so I arrived at this new job in the late summer of 1971 through no effort of my own: Harlyn Thompson, chair of the department at the time, was looking for someone to teach architectural history; someone who was not an art historian, i.e., some schooled in the ways of the architect, with an appreciation of all those factors that shape our buildings, from economic and legal to functional and aesthetic. Seven years of undergraduate education (five in actual classes and two just farting around) and a year of graduate study in historic preservation had prepared me for what I was about to undertake. Thompson had called James Marston Fitch, founder of the Historic Preservation Program at Columbia University, asking if there were any in the class of 1970-1971 who might be interested in a job at the edge of the known universe — my words; not those of Professor Thompson. I had not inquired about employment anywhere else, so why not fly to Fargo. Being literally pushed into a classroom that fall, filled with abject fear, I had no illusions of lasting the week, let alone the forty-seven years that followed. Forces beyond my control planted me here and, as luck would have it, I grew into the position. Hindsight could be telling me that it’s relatively easy to do a job when you have little idea what that job actually is. So I stayed one chapter ahead of the students, who were, I should add, just four or five years my junior. The blind teaching the deaf and dumb how to cha-cha is a politically incorrect but highly appropriate metaphor. Among my many assumptions was a notion that students of architecture might have genuine interest in the history of the profession for which they were preparing — a foolish one, I admit, but the operative force guiding me at the time. At some point it dawned on me that I am neither fish nor fowl: my academic credentials were intended as preparation for a professional life, not one in academe. Yet anyone in higher education knows that interlopers like myself are barely tolerated. My BArch and MArch degrees should have led to a license in architecture, which would have satisfied tenure requirements. But I hadn’t and, instead, count myself a Humanist who has an architectural point of view. So I possess the credentials for the thing I don’t do, but lack the credentials for the thing I do. If successful teaching depends on a high degree of fecklessness, my so-called career has been a stunning success. If, on the other hand, its success is a reflection of approval farther up the food chain—well, that ship sailed and left me waving from the pier. A recent unsuccessful application for promotion doesn’t warrant another charge headlong at that rampart, though a few friends have offered encouragement. Blogging in Agincourt about measuring “the good life” has led me to dozens of websites fluent on the topic, but nothing thus far seems to apply directly to my case. If you’ve got a metric for success, please share it and help me understand what these nearly fifty years have meant. Because I don’t have a clue. 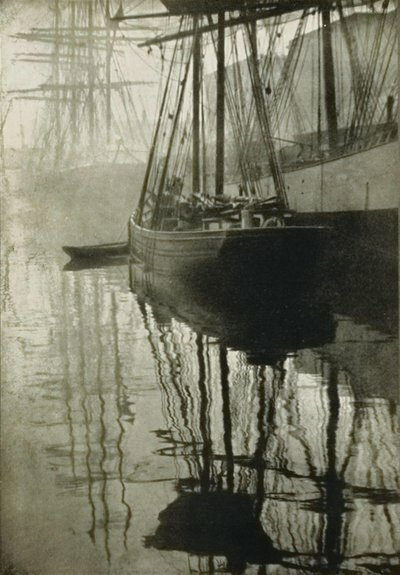 These two photographic images, by the way, were made by early 20th century photographer Alvin Langdon Coburn. Their mystic melancholy suits my mood today and most others, for that matter. So enjoy them, if nothing else. Not incidentally, I was second choice in a pool of two faculty candidates. Number One turned them down and there wasn’t time to do another search-and-interview, so I became the default candidate. Someone who’d been a part of the process shared that perspective with me. What do you suppose his motive might have been? Some people get off on that sort of thing, I guess.